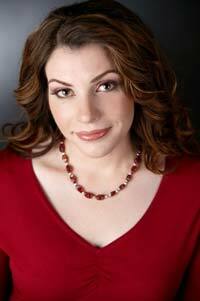 Stephenie Meyer was born on December 24, 1973 in Hartford, Connecticut. Although born in Connecticut, she grew up in Phoenix, Arizona, with three brothers and two sisters. She attended school in Arizona with her siblings and did well until she graduated from Chaparral High School in Scottsdale. After this, she moved to Provo, Utah, where she was accepted to Brigham Young University. She graduated in 1997 with her bachelor’s degree in English. After graduating college, Meyer worked as a receptionist for a property management company, but this was not a long-term career for her. She considered attending law school, but she ended up being a stay-at-home mom once she had her youngest son. She has three sons with her husband, Christian, whom she married when she was 21 and has known since she was just four years old. In 2003, Stephenie started having dreams about a vampire who was in love with a human girl. She could not get this dream out of her head, and eventually she started writing down things that happened during it. Although she had no training as a writer in any sort of way, Stephenie started to create a novel that she finished in only three months. Once she finished it, she kept it for herself and had no intentions of publishing it. But when her sister read the book, she told her that it should be sent out to the publishing companies right away because it was so unique and interesting. Stephenie then sent out copies of her book to several publishers, but she only received one positive response. Jodi Reamer of Writers House was this response, and soon after that, eight publishers wanted to publish her book. Stephenie ended up choosing Little, Brown and Company, who gave her $750,000 for a deal that included three books. Her novel was then named Twilight and it was published in 2005 with only 75,000 copies. The popularity of this book rose right away, and soon it was on the New York Times Best Seller list and being translated into many different languages. Meyer wrote two more books to complete the three-book deal that she had signed, and all of those turned out to be bestsellers as well. Millions of copies of her books were flying off of the shelves, even though she was competing against famous authors like J.K. Rowling. In 2007, Summit Entertainment picked up Twilight to become a movie. It was released in November of 2008 and was extremely successful. Then, in 2009, the second book in the series, New Moon, was released as a movie in theaters. The last book adaptation, Eclipse, was released in theaters in June of 2010. Breaking Dawn was the last book to be adapted into a movie, but it was released in two different films. These were debuted in 2010 and 2012, and both did extremely well in theaters. In 2008, Meyer wrote The Host, which is a sci-fi novel meant for adults. It also hit the New York Times Bestseller list before being turned into a movie. This film was released in theaters in 2013, but it was not nearly as popular as the Twilight series and it received many negative reviews from critics and fans. Today, Meyer is involved in many charities, but devotes most of her time to her family. She has also released several other books throughout the years, but none have gained as much popularity as the Twilight series.